Heidi was a joy and honor to work with. 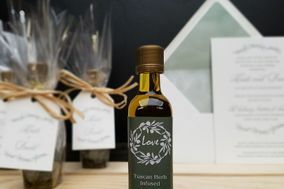 We use new Canaan olive oil products in our daily life so when it came to our shower favors it was a no brainer. Heidi was with us every step of the way from the design to the flavors. We couldn't have asked for a better favor and our guests are still raving about them. Such positive experience when I ordered wedding favors. Heidi was terrific. Very responsive, helpful and kept me well informed thru every step of the process. Excellent value as well. I highly recommend this company. Best experience I've ever had in planning bridal shower favors. Not only is the quality of the product amazing and reasonably priced, Heidi is a dream to work with. 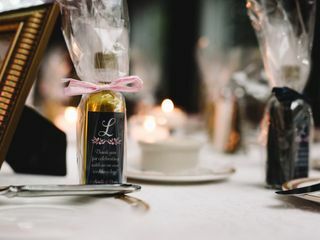 We ordered sets of oils and balsamic vinegars for 30+ guests and every attendee of the shower raved about the favor (I have personally planned 20+ occasions; people are pleasantly surprised to receive something they will use that is also so beautifully designed and packaged). We did a custom label with art by a friend of the bride's and it came out perfect. Highly recommend this site and company for any favor needs. 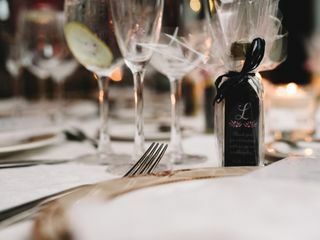 I purchased favors for my daughter-in-law's bridal shower from New Canaan Olive Oil that were unique, personalized, and of very high quality. Heidi did a phenomenal job bringing my vision to reality. I wanted a favor that would be useful vs. a dust collector and would also be indicative of the bride's penchant for chocolate. With Heidi's help, I selected a chocolate-infused balsamic vinegar and an orange-infused EVOO, we included a heart shaped white ceramic dipping plate. For me, the packaging was as important as the gift. To that end and at my request, Heidi created a graphic for the gift bags and labels for the bottles that coordinated with the invitation and included the bride's name and the date. She ordered the gift bags, packaged everything for me and even delivered the favors to the venue. I have a very high bar for client service having been in a service profession for my entire career. Although I rarely provide reviews, I had to do so in this case as Heidi met every single one of my expectations, provided a beautiful and high quality end product, was flexible and delivered everything on time. Her level of client service orientation is rare in this day and age. At the end of the day, my the favors were a hit, impeccably presented and I am extremely grateful. Heidi was a huge help with our favors for our wedding back in June this year. 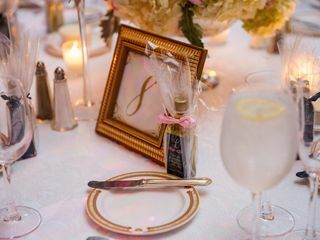 We had a Lebanese, Greek & Italian wedding so the olive oil favors were such a great idea. I am so happy I found New Cannaan Olive Oil. They were prompt, and very organized. They went above and beyond putting silver ribbons on the top of the olive oil, matching labels to my girls dresses with everything so neatly packaged. Heidi even worked on pricing with us. If you are looking to do Olive Oil favors choose New Canaan Olive Oil! You will not be disappointed. It's hard to find a place who does it all in one shot ie: the olive oil, ribbon, labels etc. So happy I found here, because it took the stress off of us doing it all ourselves and not knowing where to start or how to package. Thank you New Canaan Olive Oil! Thank you for providing us with absolutely fabulous wedding favors! They were wonderful and I know that our guests enjoyed them! Heidi was also a pleasure to work with. We are definitely returning to New Canaan Olive Oil for future purchases! Heidi and New Canaan Olive Oil were amazing to work with! Heidi really listened to what I was looking for and came up with wonderful design choices for the customized labels. Everything turned out beautifully and our favors were a huge hit with family and friends who attended our wedding. New Canaan Olive Oil was amazing! 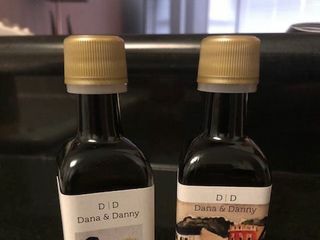 They worked with me to pick a flavor and size of olive oil for my wedding favors. I did my research online and not only did they have the best reviews but we're also the best priced!! They designed multiple options for labels and customized them for me in a digital format so it was easy to make changes. They went out of there way for me in every aspect and even individually wrapped the bottles in a small organza bag - super cute!! My guests absolutely LOVED them! I am so happy I have a few left so that I can enjoy them too!! New Canaan Olive Oil is my go to place for my client gifts. They do a great job and I get raves from the recipients. They make the whole process very simple and easy for me. Thank you!!! New Canaan Olive Oil provided the favors for the Glass House Summer Party this year and they were fantastic! Heidi personally responded to my inquiring email and each gift, whether it for an individual ticket or VIP displayed the same amount of thought and care. We cannot wait to work with then again next year!